At Everyday Nutrition, we work with a lot of women, many of whom have Irritable Bowel Syndrome (IBS). 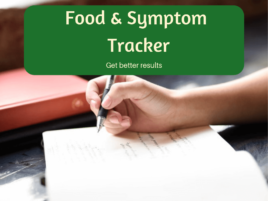 In our experience, it is common for women to report that their gut symptoms and tolerance to problem foods can fluctuate significantly throughout the month. Many are perplexed by this – why should they tolerate a food one week, but find it turns them into bloated, crampy mess the next? The answer is hormones. If you’ve suspected it – you’re spot on. And if you thought you were just imagining it – rest assured you’re not. Let’s take a look at the female menstrual cycle and how it can affect our gut. During the first week of the monthly cycle, hormone levels are quite low. Over the week, oestrogen (the “feel good” hormone) begins to steadily rise, and once you get past the initial unpleasant days of your period, this hormone will begin make you feel more alert, upbeat and energetic. In week two, oestrogen continues to rise, further improving your mood and energy. When it peaks, towards the end of this week, it will trigger the release of the two hormones which are responsible for ovulation – follicle stimulating hormone and luteinising hormone. After ovulation, oestrogen drops sharply, leading to irritability, fatigue and a lower mood. Thankfully, around the middle of week three, oestrogen will rise again, and so will your mood. Week three is also when progesterone makes an appearance, and seems to be associated with feeling lacklustre and craving certain foods. Pre-menstrual syndrome (PMS) symptoms of lethargy, bloating, irritability and muscle aches will hit many women, when oestrogen and progesterone both decline in week four. PMS symptoms can be variable in severity from month to month, and with changes in our environment such as stress, diet and medications. How Does IBS Fit into the Picture? 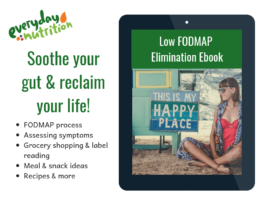 At this time, the actual cause of IBS is largely unknown, but experts agree that visceral hypersensitivity, problems digesting certain foods (FODMAPs) and stress or anxiety all play a role. The ‘viscera’ refers to the organs in the abdomen, including the bowel. When nerve endings in this area are ‘hypersensitive’ it means that symptoms such as bloating and discomfort will be felt more acutely. Toward the end of week four, visceral nerves become even more sensitive, in preparation for menstruation. It follows on that if you already have IBS, you are likely to experience more discomfort around this time. Scientists are not exactly sure of the crossover processes between IBS and female hormone cycles, but we do know that there are receptors for oestrogen and progesterone throughout the digestive tract. We also know that many women – even those without IBS – experience digestive variations throughout their menstrual cycle. Oestrogen is known as a feel good hormone, so when levels drop at (beginning of the third week and the end of the fourth week), stress, anxiety and a lower mood are commonly reported. And we all know how stress can exacerbate IBS symptoms! Progesterone can relax the smooth lining our digestive system, which can cause constipation and sensations of bloating and excess gas. If you’re already prone to slow transit (IBS-C), you might really feel this in week four. But when progesterone levels drop off again, the bowel gets back into action, this is probably part of the reason many women experience some diarrhoea during the early days of their period. Food cravings associated with progesterone (often for fatty, sugary and salty foods) can be another problem to navigate with IBS. 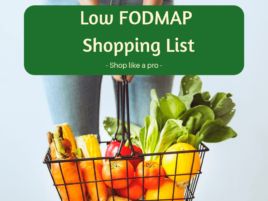 When food cravings hit, you’re more likely to disregard your normal ‘sensible’ eating plan and indulge in the high FODMAP foods you usually limit. Sounds like a recipe for bloating, discomfort, regret and self-loathing – right? So, what can you do hormones affect your IBS? Low FODMAP diet. 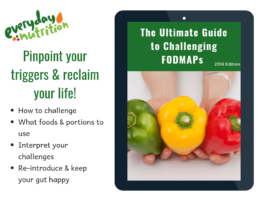 Around the time of your period, you may be more sensitive to high FODMAP foods, so being a little stricter with your diet is a good way to help minimise symptoms. Hot packs and a hot bath can soothe abdominal muscles and help you feel more comfortable. Over the counter pain medications, soluble fibre supplements, Gastro-stop® or laxatives can be helpful in the management of symptoms. Your pharmacist or doctor can help you decide which ones are best suited to your needs. Above all, sometimes it’s just good to know that you’re not alone, and that many women experience heightened IBS symptoms with hormonal fluctuations. Rest up if you can, practice some self care, and ride out the rough patches, which are sure to pass.